The National Association of Real Estate Brokers, Inc. (NAREB) was founded in Tampa, Florida, in 1947 as an equal opportunity and civil rights advocacy organization for African American real estate professionals, consumers, and communities in America. The purpose of NAREB is to enhance the economic improvement of its members, the community at large, and the minority community which it serves. To unite those engaged in the recognized branches of the real estate industry including brokerage, management, mortgage financing, appraising, land development, home building, and allied fields for the purpose of exerting influence on real estate interests. 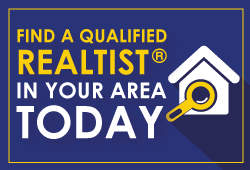 Although composed principally of African Americans, the REALTIST© organization embraces all qualified real estate practitioners who are committed to achieving our vision, which is “Democracy in Housing”. Local Black professional and real estate groups began forming in northern and southern communities in the 1880s. Most became members of the National Business League (NBL), founded by Booker T. Washington in the early 1900s. The NBL became the first advocacy association for Black national business trade organizations. Booker T. Washington was a noted businessman, educator, real estate investor, and advisor to several U. S. Presidents from the 1890s to the 1950s. Two local NAREB boards, founded in the 1920s in Harlem (NYC) and Dearborn (Chicago), represent the oldest, continuously active REALTIST © organizations that came out of the NBL and predate NAREB. NAREB has played varying influential roles in the implementation of equal rights, fair housing, equal opportunity, and community development legislation at the local, state, and federal levels since its founding. Some significant policy achievements of NAREB were the first local fair housing legislation in 1962 in New York City, the first state fair housing legislation in 1963 in California, and the first national fair housing legislation in both 1947 and 1968. It was the 193 California legislation that propelled NAREB into national prominence. Specifically, after the 1963 Byron Rumford Fair Housing Act became law when signed by then Governor Edmund Gerald “Pat” Brown, Sr., the California Association of Realtors, backed by the National Association of Realtors, launched a successful ballot initiative, calling its results discriminatory and, therefore, against the California constitution. California REALTIST © played the leading role in opposing the ballot initiative and arguing against it in the California Supreme Court. Although African Americans had been granted permission to join realtor organizations in many states, including California, the failed realtor effort exposed the discriminatory culture. Other significant REALTIST © involved legislative achievements include the creation of HUD in 1964, the Voting Rights Act of 1965, the Community Reinvestment Act of 1977, the FIRREA in 1989, and establishing affordable housing goals for Fannie Mae and Freddie Mac in 1992, as well as the updates to each of these laws and the implementation of many associated new laws, regulations, and presidential orders to the present date. NAREB has a strong social activist history and culture of vigorously supporting equal opportunity and fair treatment in the real estate and community development marketplaces for African Americans. REALTIST © marketplaces, urban and rural, have changed from places to be avoided by non-Blacks to places of choice for most income, age, and ethnic/racial segments of American society, making them some of the most attractive real estate investments, workplaces, and cultural lifestyle areas in America. NAREB continues to open doors that otherwise would remain closed to African American professionals and/or consumers. NAREB continuously strives to preserve and enhance its industry and community image with local and national government, business, and consumer interest organizations focusing on real estate and community development issues. We focus our professional practices on serving the needs of the undeserved. NAREB is comprised of its affiliate organizations: The National Society of Real Estate Appraisers (1956), Real Estate Brokers Management Institute (1968), The Women’s Council of NAREB (1969), The Mortgage Bankers/Brokers Institute (1968), United Developers Council (1974), Commercial Industrial Division (1985), NAREB Investment Division (1986), Contractors Division (1987), Sales Division (1987), Housing Counselors (1994), the Young REALTIST © Division (1998), and State of Housing in Black America (SHIBA) (2011). NAREB, through its University of Real Estate, founded in 1986, and each affiliate, provides professional training and education for REALTIST © members.